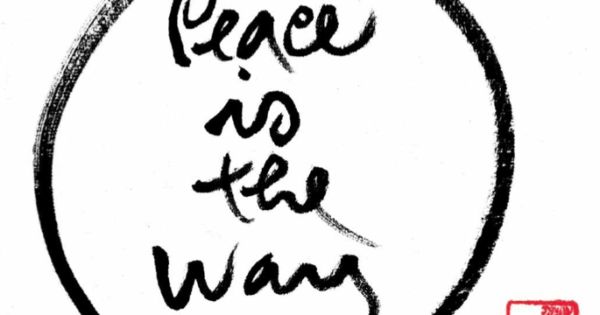 Now more than ever, says Thich Nhat Hanh, we need a global ethic of compassion, understanding, and peace. Here’s how Buddhism can help. The world in which we live is globalized. Economies halfway around the world affect our own. Our politics, education, and cultural consumption happen on a global scale. Our ethics and morality also need to be globalized. A new global order calls for a new global ethic. A global ethic is the key to addressing the true difficulties of our time. Around the world, we are facing climate change, terrorism, and wars between people of different religions. Fanaticism, discrimination, division, violence, economic crises, and the destruction of the environment affect us all. We have to look deeply into these sufferings so we can make good decisions and conduct ourselves wisely. We have to sit down together, as people of many traditions, to find the causes of global suffering. If we look deeply with clarity, calm, and peace, we can see the causes of our suffering, uproot and transform them, and find a way out. We are many different cultures and nations, each with its own values, ways of behaving, and criteria for ethical conduct. Every country and every culture can offer something beautiful. It will take all of our collective wisdom to make a global code of ethics. With insight from all the world’s people and traditions, we can create a global ethic that is based on mutual respect. Some people base their ethics on their religion. If you believe there is a deity that decides what is right and wrong regardless of what you observe, then you only need to follow the rules laid out by that religion to engage in right action. Others follow a scientific or utilitarian approach, looking only at what is a logical consequence of their actions. A Buddhist contribution to global ethics is different from both of these. It is based on observing and understanding the world with mindfulness, concentration, and insight. 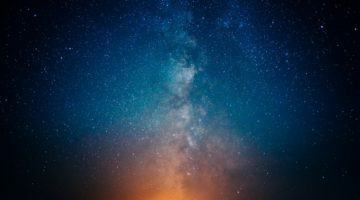 It begins with an awareness of the nonduality of subject and object and of the interconnectedness of all things. It is a practice that can be accepted by everyone, regardless of whether or not you believe in a god. When you train yourself in this practice, you will see that you have more freedom. We created the term “engaged Buddhism” during the Vietnam War. As monks, nuns, and laypeople during the war, many of us practiced sitting and walking meditation. But we would hear the bombs falling around us and the cries of the children and adults who were wounded. to meditate is to be aware of what is going on. What was going on around us was the suffering of many people and the destruction of life. So we were motivated by the desire to do something to relieve the suffering within us and around us. We wanted to serve others and we wanted to practice sitting and walking meditation to give us the stability and peace we needed to go out of the temple and help relieve this suffering. We walked mindfully right alongside suffering, in the places where people were still running under the bombs. We practiced mindful breathing as we cared for children wounded by guns or bombs. If we hadn’t practiced while we served, we would have lost ourselves, become burnt out, and not have been able to help anyone. Engaged Buddhism was born from this difficult situation; we wanted to maintain our practice while responding to the suffering around us. Engaged Buddhism isn’t just Buddhism that’s involved in social problems. Engaged Buddhism means we practice mindfulness wherever we are, whatever we are doing, at any time. When we are alone, walking, sitting, drinking our tea, or making our breakfast, that can also be engaged Buddhism. We practice this way not only for ourselves but also to preserve our- selves so that we are able to help others and be connected with all life. Engaged Buddhism is not just self-help. It helps us feel stronger and more stable and also more connected to others and committed to the happiness of all beings. Engaged Buddhism is Buddhism that penetrates into life. If Buddhism is not engaged, it’s not real Buddhism. this is the attitude of the bodhisattvas, beings whose whole intention and actions are to relieve suffering. We practice meditation and mindfulness not only for ourselves; we practice to relieve the suffering of all beings and of the Earth itself. With the insight of interbeing—that we are inherently interconnected with all other beings—we know that when other people suffer less, we suffer less. And when we suffer less, other people suffer less. Now, as well as engaged Buddhism, we are using the term “applied Buddhism.” “Applied” is a word that is often used in science, and we deliberately use it here as a way of saying that our understanding of reality can be used to help clarify and find a way to transform every situation. In Buddhism, there is something that can be used in every circumstance to shed light on the situation and help solve the problem. there is a way to handle every situation with compassion and understanding so that suffering can be lessened. That is the essence of applied Buddhism. Mindfulness is the basis of a Buddhist ethic. What does being mindful mean? It means, first of all, that we stop and observe deeply what is happening in the present moment. If we do this, we can see the suffering that is inside us and around us. We can practice looking deeply with concentration in order to see the causes of this suffering. We need to understand suffering in order to know what kind of action we can take to relieve it. We can use the insight of others, the mindfulness of our sangha—our larger community of practitioners—to share our insight and understand what kind of action can lead to the transformation of that suffering. When we have collective insight, it will help us see the mutually beneficial path that will lead to the cessation of suffering, not only for one person but for all of us. In Vietnamese, we translate ethics as dao duc, the virtuous path. Duc means virtue in the sense of honesty, integrity, and understanding. The word is small but it implies a lot—forgiveness, compassion, tolerance, and a sense of common humanity—all the good things that everyone needs. The path should be able to provide the kind of virtuous conduct that will help us trans- form ourselves and bring a happy life to everyone. When we have the characteristics of someone who is virtuous, we don’t make people suffer. This kind of virtue offers us a guideline, a way of behaving that doesn’t cause suffering to others or to ourselves. Another way to translate ethics is luong li, which means the behavior of humans to each other. Luong means the morality of humans and li means the basic principles that lead to correct behavior and correct action. When you put the two phrases together, you get dao li luong thuong, which means moral behavior that everyone agrees to. Thuong means common, ordinary, something everybody can accept, about which there’s a consensus. Ethics are something consistent; they don’t change from day to day. So this means a kind of permanent ethics, basic principles we can agree upon that lead to more understanding and acceptance. From the time of his first teaching delivered to his first disciples, the Buddha was very clear and practical about how we can transform our difficulties, both individually and collectively. He focused on how we put the teachings into practice in our every- day lives. That is ethics. Practice is key because practice generates mindfulness, concentration, and insight. These three energies are the foundation of all Buddhist practice and Buddhist ethics. We cannot speak about Buddhist ethics without speaking of these three energies. Mindfulness, concentration, and insight help us build a path that will lead to peace and happiness, transformation and healing. It is so important that we don’t focus on ethics in the abstract. Our basic practice is the practice of generating the energy of mindfulness, concentration, and insight. We rely on our insight to guide us and help us bring compassion, understanding, harmony, and peace to ourselves and to the world. Recently, a Christian theologian asked me how to bring about a global spirituality. The person who interviewed me seemed to distinguish between the spiritual and the ethical, but there is always a relationship between the two. Anything can be spiritual. When I pick up my tea in mindfulness, when I look at my tea mindfully, and begin to drink my tea in mindfulness, tea drinking becomes very spiritual. When I brush my teeth in mindfulness, aware that it’s wonderful to have the time to enjoy brushing my teeth, aware that I’m alive, aware that the wonders of life are all around me, and aware that I can brush with love and joy, then tooth-brushing becomes spiritual. When you go to the toilet, defecating or urinating, if you are mindful, this can also be very spiritual. So there’s a deep link between the ethical and the spiritual. If you can’t see the spiritual in the ethical, your ethics may be empty. You may live by this ethical code but you don’t know why, and so you can’t enjoy it. If your ethical and spiritual practices are connected, you will be able to follow your ethical path and be nourished by it. Hundreds of years ago, under a sacred fig tree in Bodhgaya, India, the Buddha woke up; he realized deep awakening. His first thought upon awakening was the realization that every living being has this capacity to wake up. He wanted to create a path that would help others realize insight and enlightenment. The Buddha did not want to create a religion. To follow a path, you don’t have to believe in a creator. After the Buddha was enlightened, he enjoyed sitting under the Bodhi tree, doing walking meditation along the banks of the Neranjara River and visiting a nearby lotus pond. The children from nearby Uruvela village would come to visit him. He sat and ate fruit with them and gave them teachings in the form of stories. He wanted to share his experience of practice and awakening with his closest five friends and old partners in practice. He heard they were now living in the Deer Park near Benares. It took him about two weeks to walk from Bodhgaya to the Deer Park. I imagine that he enjoyed every step. In his very first teaching to his five friends, the Buddha talked about the path of ethics. He said that the path to insight and enlightenment was the noble eightfold path, also called the eight ways of correct practice. The eightfold path is the fourth of the Buddha’s four noble truths. 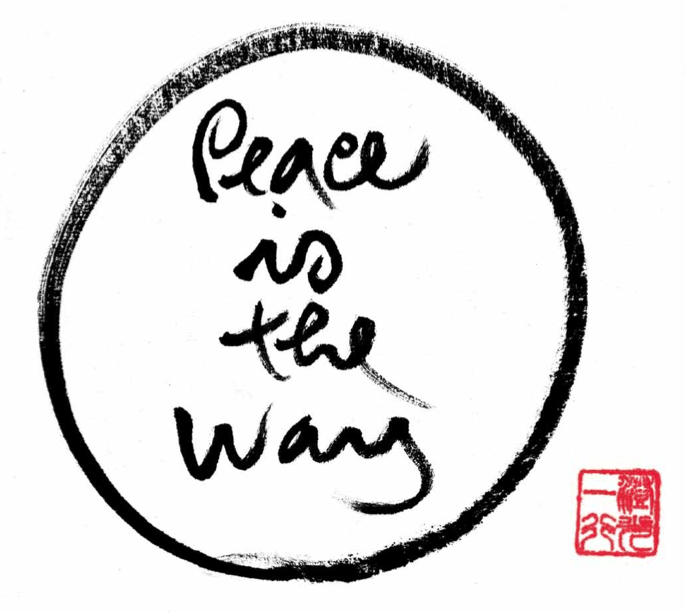 If we understand the four noble truths and use their insight to inform our actions in our daily lives, then we are on the path to peace and happiness. The four noble truths are the foundation of Buddhism’s contribution to a global ethic. These truths are: ill-being exists; there are causes of ill-being; ill-being can be overcome; there is a path to the cessation of ill-being. 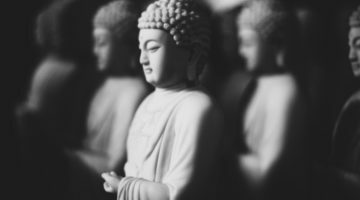 The four noble truths, including the noble eightfold path contained in the fourth noble truth, are the Buddha’s strategy for handling and relieving suffering. the truths are called “noble,” arya in Sanskrit, because they lead to the end of suffering. The four noble truths are about suffering, but they are also about happiness. Suffering exists, and we can do something to relieve the suffering within us and around us. Happiness, transformation, and healing are possible. These truths encourage us to act in order to create the happiness we want. They offer an ethical path to our own transformation. If happiness is possible, why does the Buddha talk first about suffering and ill-being? Why doesn’t he just speak about happiness and the path leading to happiness? The Buddha starts with suffering because he knew that happiness and suffering are linked to each other. they inter-are. Suffering contains happiness. Happiness contains suffering. Suffering can be useful. It can teach us the compassion and understanding that are necessary for insight and happiness. Happiness and suffering are not opposites. This kind of non-dualistic thinking is one of the key elements of a Buddhist contribution to a global ethic. The good is not possible without the bad. Good exists because bad exists. The Buddha taught that good and bad are products of our minds, not objective realities. There are many pairs of opposites like this, such as being and nonbeing. We tend to think that being is the opposite of nonbeing. We can’t have the notion of being unless we have the notion of nonbeing. We can’t have the notion of left without the notion of right. But in fact, reality transcends both being and nonbeing. Being and non- being are simply notions; they are two sides of the same reality. Consider the left and the right. You cannot eliminate the right and keep only the left. Imagine you have a pencil and you are determined to eliminate the right side of the pencil by cutting it in half. As soon as you have thrown one half away, the cut end of the piece that remains becomes the new right. Wherever there is left, there is right. The same is true with good and evil. The notion of goodness and the notion of evil are born from each other. Reality transcends the notions of good and evil. Subject and object are another pair of opposites. We tend to think of our consciousness as something inside us and the world as something outside. We assume that subject and object exist independently of each other. But subject and object are not separate. They give rise to each other. Reality transcends both. If we observe reality over time and truly taste the teaching of nonduality, we have right understanding. Once we have this view, the first aspect of the noble eightfold path, then the other aspects of the path easily follow. Right thinking, right speech, right action, right livelihood, right diligence, right mindfulness, and right concentration all arise when we have right view. The Buddhist contribution to a global ethic contains no dog- mas. It doesn’t say that it is right and everything else is wrong. This understanding is what the Buddha discovered from deep practice and deep observation. We each need to practice mindfulness and deep observation so that we can know the truth for ourselves and not just follow someone else’s teaching. The nondual nature of reality is also part of the four noble truths. Although there are four truths, each truth contains the others; they can’t be considered completely separately from each other. If you fully understand one noble truth, you understand all four. If you really begin to understand suffering, you are already beginning to understand the path to its cessation. The four truths inter-are. Each one contains the others. The first noble truth is ill-being. The second noble truth is the causes of ill-being, the thoughts and actions that put us on the path leading to ill-being. the third noble truth is well-being, the cessation of ill-being. The fourth noble truth is the path leading to well-being, the noble eightfold path. The second noble truth is the action that leads to suffering, and the fourth noble truth is the action that leads to well-being, so in a sense they are two pairs of cause and effect. The second noble truth (the path of ill-being) leads us to the first (ill-being), and the fourth noble truth (the noble eightfold path) leads us to the third (well-being, the cessation of ill-being). Either we are walking the noble path or we are on the ignoble path that brings suffering to ourselves and others. We are always on one path or the other. The four noble truths can’t simply be understood intellectually. They contain key ideas, such as nonduality, emptiness, no-self, interbeing, and signlessness, that can only be understood through practice. The foundational practice of the Buddha is mindful breathing. Before we can commit to or practice any ethical action, we need to begin with our breath. Awareness of our breath is the first practical ethical action available to us. This is the only way we can begin to truly understand the basic suffering of human beings and how we might transform it. When we look at all the suffering around us, at poverty, violence, or climate change, we may want to solve these things immediately. We want to do something. But to do something effectively and ethically, we need to be our best selves in order to be able to handle the suffering. Breathing in, I know this is my in-breath. Breathing out, I know this is my out-breath. It’s very simple but very effective. When we bring our attention to our in-breath and our out-breath, we stop thinking of the past, we stop thinking of the future, and we begin to come home to our-selves. Coming home to ourselves is the first thing we need to do, even for politicians, scientists, or economists. Don’t think this practice doesn’t apply to you. If we don’t go home to ourselves, we can’t be at our best and serve the world in the best way. We have to be ourselves to be our best. Our quality of being is the foundation for the quality of our actions. Breathing in, I’m aware of my whole body. Breathing out, I’m aware of my whole body. Breathing mindfully brings us back to our bodies. We have to acknowledge our bodies first because tension and suffering accumulate in the body. Breathing in this way, we create a kind of family reunion between mind and body. The mind becomes an embodied mind. If we are truly aware, we know there is tension and pain in our bodies. We can’t do our best if we don’t know how to release the tension and the pain in ourselves. Breathing in, I’m aware of tension in my body. We can do something right away to improve ourselves and release our tension and suffering so we can see and act more clearly. With our mindful breathing, body and mind come together, established in the here and now, and we can more easily handle the difficult situations in our lives. Mindful breathing brings more well-being into our bodies. In one breath we can recognize and release the tension within us. We can use our in-breath and out-breath to help us notice the painful feelings inside us. With our in-breath we can acknowledge these feelings and with our out-breath we can let them go. Breathing in, I am aware of a painful feeling arising. Breathing out, I release the painful feeling. This is a nonviolent and gentle way to help our bodies release tension and pain. It is possible to practice mindful breathing in order to produce a feeling of joy, a feeling of happiness. When we are well-nourished and know how to create joy, then we are strong enough to handle the deep pain within ourselves and the world. With one in-breath and out-breath, we can practice all the four noble truths: we acknowledge our tension or pain and call it by its true name; we release it and let well-being arise. Reprinted from “Good Citizens: Creating Enlightened Society” by Thich Nhat Hanh (2012), with permission of Parallax Press, Berkeley, California.